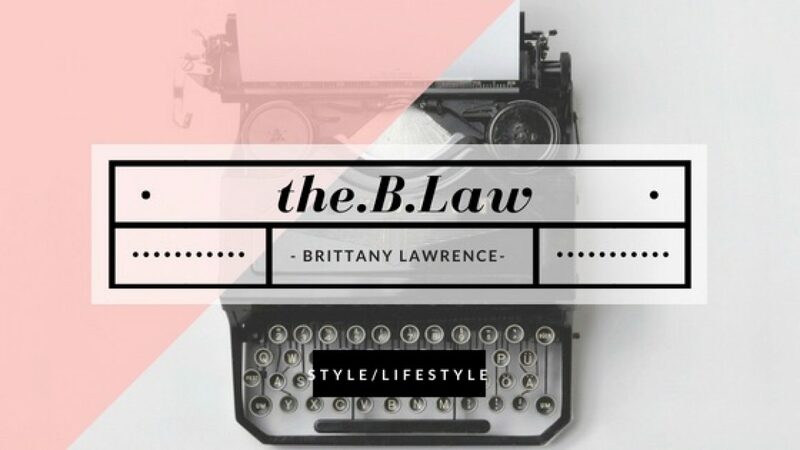 Introducing the.B.Law Style Panel: Heather! As I said in my last post, this week and next I will be introducing my new style panel! I am so excited, I have 6 awesome girls and they all have great things to contribute. So without further ado, I would like to introduce you to Heather! Heather and I met in college (in some weird cosmic way- story for another time) and then she joined my sorority Sigma Kappa. We continued to grow closer and closer. After graduation she got me a job as an assistant manager with her at Abercrombie and Fitch, AND THEN we were roommates! You all have probably seen her before from when the blog first started. For those of you who haven’t been with me since the beginning, the.B.Law wasn’t always the.B.Law. When I started the blog, 3 years ago next month, it was called Tragic Girls. Tragic Girls was about all of mine and Heather’s tragicness when we lived together. It was the first time we had both lived on our own, and although we were already very independent, we still had a lot to learn. If you are interested, check out these first few tragic posts here, here, here, here, and here! Since then, the blog has evolved and so has mine and Heather’s friendship. We do not live together anymore, but she is still one of my best friends and we talk every day. She is also one I run all of my fashion decisions by. Heather and I both have tons of retail experience. I worked in retail for just shy of 8 years. Heather I believe is somewhere between 8-9 years? Is that right Heather? Correct me if I am wrong. All of those years are where we got all of our style influence, and turns out, we are pretty good. Heather is my general style and fashion forward panelist. She has great style for every occasion and is never afraid to try the new trends. Whenever I am unsure about trying something new, I am sending a picture of it over to Heather asking her opinion. She is just so great! Below are some fun facts, stay tuned for more and expect some great things from her! Everyone say hi to Heather! The guy my roomie was dating broke it off with her about two months ago for idiotic reasons. Whatever, he doesn’t deserve my amazing roommate, but she was sad about it and occasionally still is. She should not waste sadness on a douche-wad like him. Anyways, recently she was stalking him, like she shouldn’t have been, on Instagram. I wasn’t home, which is probably why she did it, because I would have told her not to. As punishment for her sneakily stalking him, she dropped her phone. This wasn’t any drop though. You see, she was lying down while she was stalking him, on her back. So where would she have dropped her phone? She dropped it on her face, resulting in her liking one of his pictures, WITH HER FACE. When she told me I laughed so hard! That would happen to her. I told her that’s what she gets for stalking. As karma goes, two weeks ago my roomies ex from almost a year ago liked one of her pictures from 42 weeks ago. He was clearly stalking. Who just scrolls down the news feed back 42 weeks? The moral of the story here, don’t stalk on your phone while lying on your back. My roomie and I have a box that has been sitting in our “dining room” since we moved in in May. I say “dining room” with quotes because we have lived here since May and still have no table to dine at. Anyways this box is full of our clothes that we want to donate. We say every weekend that we will take it but it still hasn’t happened. That is okay though because we keep adding to it and cleaning out our closets. 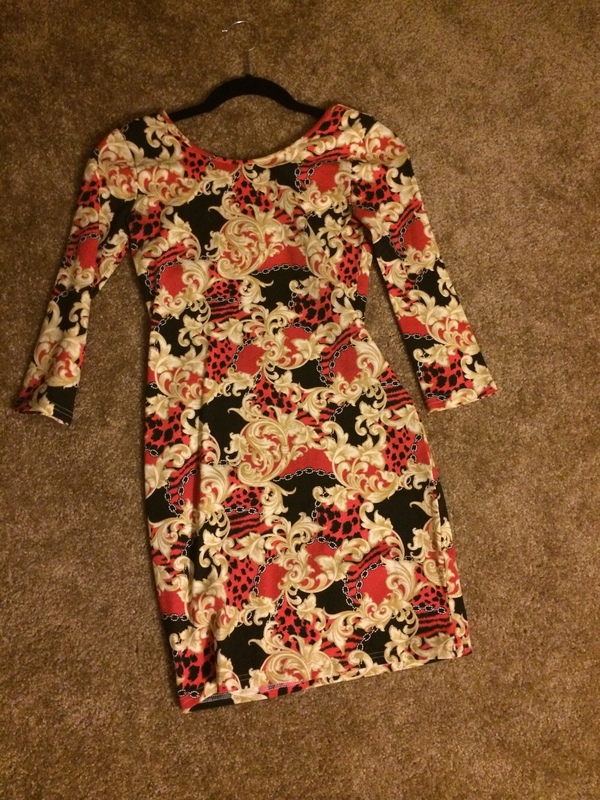 While thinking about my closet I decided that I was going to add a certain dress to that box. I only wore it once, in Vegas, with my ex. Since then it has been hiding in the back of my closet trying to avoid me getting rid of it like everything else that is associated to him. Tonight I grabbed it and told my roomie that it was going in the box. Looking at it I forgot how cute it really was. She agreed and said that she really liked it. Then I realized that I have absolutely no pictures in this dress. It’s practically a virgin! We decided that since there are no pictures and no proof that I ever wore it that I can wear it again and make new associations with it. But first I told her that it needed to be baptized! My roomie runs to her bathroom sink and starts splashing water on my dress saying over and over again “I baptize you!” Then we cheered! My dress is all good as new and now hanging in the front of my closet. You know you have a good roomie when she is willing to baptize the ex out of your Vegas dress. Thank you roomie! I love you!